These have finally arrived. 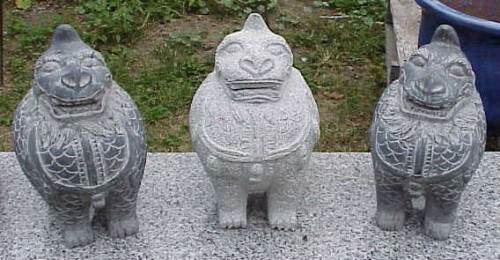 Our first commission in marble and granite from China. 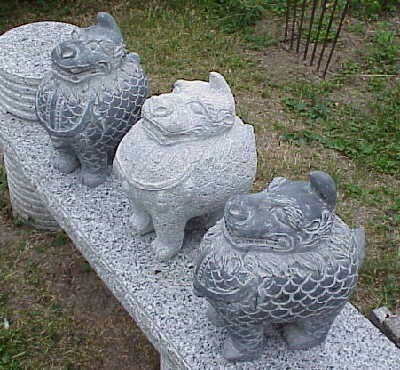 These are also called "Lucky Beasts." We sent the photo of what we had seen and said to create a garden piece for our customers. What came to us has been described as strange, wonderful and adorable. 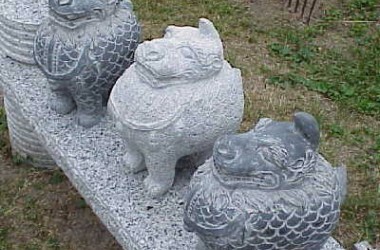 The best part of these is that they are protectors of the garden and traditionally are said to give good fortune to the owner. We have these in black marble, grey granite and green and grey marble. We have only 12. These would be great as a gift either for a friend or yourself. This is suitable for home or garden.